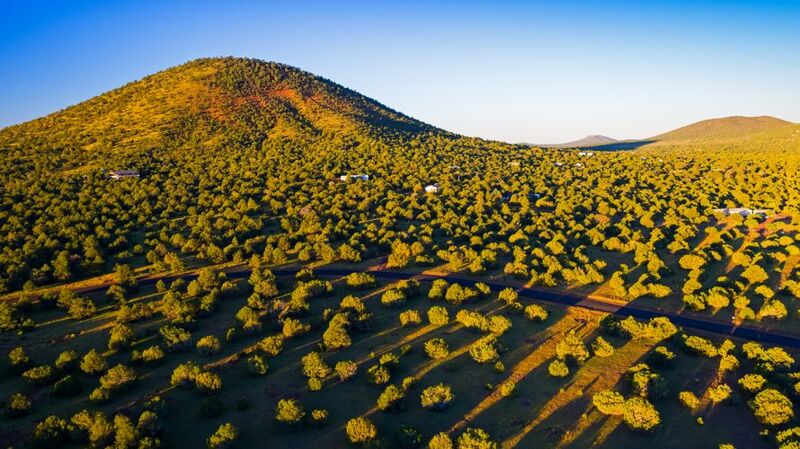 Located 6 miles north of Williams, Arizona, Spring Flower Ranch offers land buyers, and those interested in ranch options, an entirely different choice with multiple parcels. There are few other places people are going to be able to find this beautiful combination of wide open land with little or no development, while being in close proximity to a major town or city. Spring Flower Ranch sits right at the base of the Bill Williams Mountain and is adjacent to the Kaibab National Forest. This clearly makes a long-term and natural barrier to any kind of local development beyond what this ranch area is offering buyers. That's particularly valuable for those who are looking for a parcel they can call their own, while still retaining a decent driving distance that is close to work and the amenities of modern living (probably a 10 to 15 minutes drive for most vehicles). Sold in parcels of 2.5+ acres, Spring Flower Ranch options include significant open land, prairies, baseland below plateaus, and proximity to Ponderosa pine forests. Many of the local residents in Williams already enjoy the area regularly due to its optimum features for horseback-riding, hiking, mountain-biking, trail exploration, fishing, boating and camping. The area is an outdoorsman's playground with the numerous benefits that can be had. Spring Flower Ranch is also in close distance and drive to Bearizona, a 160 acre preserve for wildlife including everything from bears to bighorn sheep. Who needs a nature magazine description when you can live in this location? Spring Flower Ranch is a unique opportunity for wide, open space living that is becoming harder and harder to find these days. To find out more, connect with Brooks Ranchland and see if their Arizona ranch land projects are what you are looking for today!